After the American Revolution, the pioneers were followed across the Appalachians by veterans of the war and settlers who were streaming west. These industrious Americans cleared the forests and began the tradition of farming the land. Following them were talented craftsmen who knew the art of building barns. 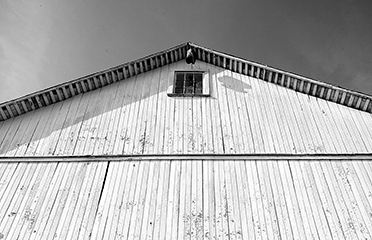 These woodworkers carried the traditions of barn building from Europe. The newly cleared land offered a wealth of timber. Their techniques created sturdy structures which have survived the centuries and offer a resource for reuse and repurpose. Marion and Michael Rogers have taken the time and done the research to study the work of these craftsmen. That knowledge allows them to know where and how to begin the process of deconstructing barns and houses so they can be stored and rebuilt on a new site. Starting from the roof and working down through the structure, the evidence of the craftsmen of the 1800s is revealed in the mortises and tenons, and the carpenter’s marks chiseled into the hardwood. 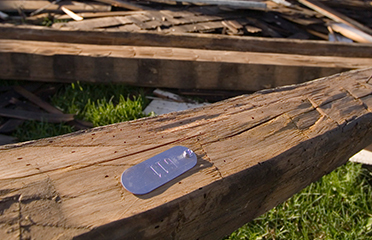 The Rogers place a set of numbered metal tags at each joint on the matching ends of the beams, so that when the frame is reconstructed, the process begins with aligning these numbers. The deconstructed barn is stored, and in the case of the Colorado house, transported to the new site. The aged wood is then allowed to acclimate to the different atmosphere prior to reconstruction.